Though not heard as much today, beast fables were an ancient device used to teach moral lessons, the most famous being those of Aesop. 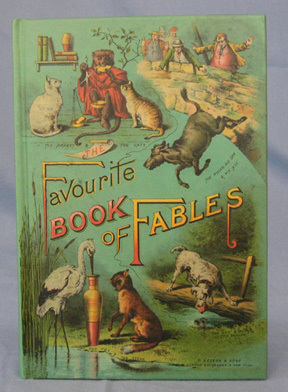 This book is a collection of Aesop's fables, each a moderately short story concluding with a moral. Although this book was originally published in 1890, the stories themselves are of ancient lineage. We have a version in our collection from the 1820's but the stories are the same. This book would be a great reference by itself because the stories and their morals are still applicable today. It would also be a handy source for doing story programs with children.